Over the last week, lots of noteworthy things happened in Big Ten women’s volleyball. 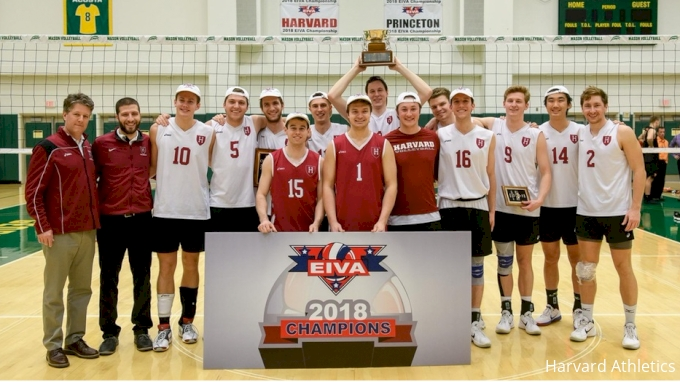 A team lost for the first time in over a month, two top-10 ranked teams tallied 203 digs in a four-set match, and another team won two conference matches in a row for the first time in three years. Here’s what went down in the Big Ten last week and the biggest upcoming matches to watch. The Buckeyes and the Hawkeyes each suffered two losses this week, with Ohio State losing to Nebraska and Northwestern, and Iowa dropping matches to Northwestern and Maryland. Ohio State managed to take a set off Nebraska, but overall, the Huskers out-hit (.407 to .083), out-blocked (10 to 5), and out-dug (59 to 43) the Buckeyes in the Wednesday-night match. Nebraska got better as the match went on and dominated the fourth set 25-9. The next night, NU kept OSU under 20 points in all three sets, hitting .258 to Ohio State’s .136. Ohio State continues to struggle with injuries and played both matches without outside Mia Grunze, middle Jordan Fry, setter Olivia Dailey, and versatile hitter Madison Smeathers. Iowa lost in five to Northwestern, despite a career-high tying 30 kills from Cali Hoye. NU’s own star outside Nia Robinson had 26 kills, hitting .370. In the next night’s match versus Maryland, Hoye sat the bench -- Meghan Buzzerio filled her spot in the lineup—and Maryland out-gunned the Hawkeyes to win in straight sets. That five-setter over Iowa and sweep of Ohio State marked the first back-to-back Big Ten wins for Northwestern since 2015. The Wildcats are now 3-9 in conference after losing eight straight Big Ten matches to kick off league play. The match between No. 7 Wisconsin and No. 12 could hardly have been closer. The Badgers escaped an upset, winning 18-25, 25-16, 25-22, 21-25, 15-11, but Michigan scored more overall points (80-77) and had more kills (62-61) and aces (6-3). Wisconsin claimed the advantage in the defensive side of the game, however, leading in digs (76-70) and blocks (13-12). Wisconsin libero Tiffany Clark set a new career high with 33 digs to lead the Badgers to their sixth victory over a ranked opponent so far this season. Dana Rettke, last week’s AVCA National Player of the Week, had 21 kills, hitting .571, while Michigan’s Carly Skjodt led the match with 27 kills. With sweeps of Michigan and Michigan State, Minnesota increased its lead in the Big Ten standings and is now three matches ahead of Illinois, Penn State, and Wisconsin, all of which are tied for second with 9-3 records. Minnesota makes its push into the top 10 of the @NCAAVolleyball RPI this week with an impressive 18-2 record. The Gophers are 12-0 in league play with four weeks to go in the regular season. Illinois scored a major four-set road victory over Nebraska on Sunday. Both teams played incredible defense, with Nebraska setting a new school rally-scoring record for digs in a four-set match with 99 and Illinois tallying 104 digs, with 32 from libero Morgan O’Brien and 25 from defensive specialist Taylor Kuper. The unbelievable defensive efforts held both teams well below their season average hitting percentage, with Nebraska posting a .099 clip and the Illini performing slightly better at .187. Illinois had not beaten Nebraska since 2014. The Fighting Illini ride a five-match win streak into this week’s matches with Ohio State and Maryland. 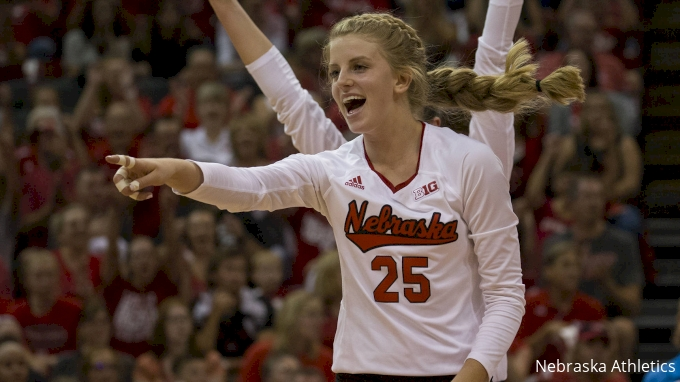 Seven Big Ten teams appeared in this week’s AVCA Poll, with five cracking the top 10. Heading into Saturday’s meeting with Purdue, Penn State had won nine matches in a row. During that win streak, the Nittany Lions rose from No. 9 to No. 4 in the AVCA Poll, and three players earned Big Ten weekly honors. Purdue also brought a successful run with it to State College. The Boilermakers had won four in a row, with their last loss coming at the hands of Penn State on October 10. After going down 0-2 and coming back to win in five, Purdue claimed redemption and scored a massive upset of the Nittany Lions. The first set, which Penn State won 25-11 and Purdue hit a dismal -.069 skewed the overall stats in favor of PSU, but Purdue out-hit the Lions in the last three sets and senior opposite Sherridan Atkinson had a career night, putting away 32 kills. The win marked Purdue’s first over a top-5 opponent since 2010 and head coach Dave Shondell’s first victory over Penn State in Rec Hall. Especially for a team that just won its first conference match of the season a couple weeks ago, going 2-0 for the week is a special thing, and Northwestern could not have done it without sophomore middle Alana Walker. Against Iowa, Walker led the Wildcats with 10 kills, and with just two errors she posted a .571 hitting percentage. A few nights later, in the sweep of Ohio State, the Chicago native set a new career high with 15 kills, hitting .636. Both nights, Walker added three blocks to her stats line. Wisconsin is one of just three ranked opponents remaining on Minnesota’s regular season schedule. The Badgers will look to ride the momentum of their five-set victory over Michigan to an upset of the Gophers in this mid-week match. Northwestern has a chance to keep its win streak rolling as it takes on Maryland and Ohio State this weekend. Expect Maryland to be feeling good playing in its own gym and having celebrated a big win over Iowa last week. The seven-time national champion Nittany Lions travel to Lincoln to face the five-time champs. In the two teams meeting earlier in the season, Penn State won in five, but Nebraska leads the all-time series 20-11. Just over a week after Wisconsin won a five-set thriller over Michigan, the two teams get another crack at each other. Expect another game full of incredible defensive displays and offensive fireworks.